Your pitch deck is probably the most important document you'll create if you're raising money for your business. Here are our 6 favorite tools. Your pitch deck is probably the most important piece of sales collateral that you’ll make for your business. It doesn’t matter if you’re selling pizza slices or the blueprints to a nuclear reactor—you’re always going to need to explain your big idea to investors or clients. And what is your primary tool to elucidate that idea? Your pitch deck. Fortunately, you’re not out there alone. One great resource to get you started is the Bplans ebook How to Pitch and Get Funded, a free download. From there, there are dozens of resources to help you, and they come in all shapes and sizes, guaranteeing there will be something to suit your needs. Prezi is a good option for those looking for a unique and beautiful presentation. However, getting there using this tool is a big time investment! 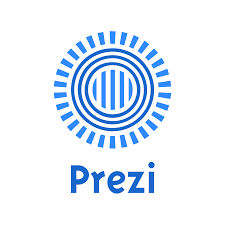 Prezi is a SaaS company that offers what I like to call a “slide deck on steroids.” Because Prezi uses motion-based design, presentations tend to look a lot more slick than they do when created using classic presentation tools like Powerpoint. Essentially, it’s a SaaS alternative to PowerPoint or Keynote. It lets you sync lots of different presentations; it allows you to present when you’re offline (despite being a cloud-based solution) and it gives you more of a “blank canvas” feel rather than constraining you to the structure of a traditional slide deck. It’s a bit like a mind-map, with the camera “zooming in on” different ideas as you walk through your presentation. If you put the time in, you can get amazing results. Prezi has three pricing models giving you maximum flexibility. It starts for free, but the inability to create a presentation and keep it private significantly reduces this functionality. $10 per month gets you a basic package and $20 gets you some extra features like offline editing, not just presenting. There’s also an enterprise option with custom branding. All pricing options include 24/7 support. Good program and a good service, but only if you’re willing to put the time into it, plus the $10 per month to keep your idea private. Haiku Deck is a fast and easy way to create a beautiful slide deck, especially if design isn’t your “thing.” But, what you get in simplicity you give up in customization and features. Haiku Deck, compared with Prezi or Sliderocket, is a little more what you’d expect from a deck. It’s got all the same functionality and the same basic structure as PowerPoint, but it’s completely mobile and it gives you a helping hand with design. It’s a little bit like Instagram for slides—you put in your ideas, and then you can add filters to make it look more attractive. Worthy of special mention is the photo library full of tagged images, so that you can add anything from a light bulb to a bolt of lightning. Haiku is free to use, but Zuru will cost $60 a year (50% off at the time of writing this article). Haiku Deck is a great service for those with limited resources and no design skills. However, users who want more say in making their presentation unique might want to steer clear. Improve Presentation is a good template service, with lots of customization and add-ons for good prices. It’s worth noting that this is not an online service. You will need to use it in conjunction with a presentation tool. Improve Presentation has designed dozens of different templates you can download, plus add-ons like pitch deck icons, medical-specific icon sets, SWOT analysis decks, map decks, and lots more. Plus, each template comes with different color schemes and icons, so you can tinker with their design quite a bit. Naturally, they’re available for PowerPoint and Keynote, and conveniently divided that way on their website. Improve Presentation also has a custom option, although there’s no indication of pricing on their website. Also worth mentioning is their blog, which is a superb resource for presentation information in general, with posts like Handling Questions & Answers in Your Presentation and How to Reduce Presentation Anxiety (not to mention some of our own excellent pitching resources on Body Language and Pitching, and Pitching Your Startup in Social Situations). All in all, it’s a good service for templates. It’s easy to use and the way you can preview slides is simple and gives you a really hands-on feel for what you’re doing. They’ve prioritized the customer experience over the fear they’re giving too much away for free, and that’s really good to see. Sketchdeck is a great service if you want something polished and simple, and have a clear vision in your mind. SketchDeck is a custom design company that works to make it easy to hire a designer. Their business proposition is “design at your fingertips,” and they do a pretty good job of fulfilling it. They work by signing up customers for free who then get design on demand. That is, whenever they need it on a pay-by-project basis. Their process is that you place an order online, uploading any ideas you have, and selecting a few various options, such as rush order, if you’re matching existing branding (you can upload documents), and what level of designer you want (junior, intermediate, senior). Iterations are run entirely online, and the number of iterations varies by project and price. They also make it easy to collaborate with other teammates and store all of your projects in the cloud. They also have some information specific to pitch deck copy, which is a really handy resource, and a number of projects that they’ve completed to help ease concerns over quality with hiring a designer for the first time. It’s hard to sum up, but for a pitch deck, the ballpark $300-$600. That’s 20 pages at their middle tier service. For a small (5-10 slides) at their middle tier, we came out to $260. Sketchdeck is a great option for companies who want a custom design option but don’t want to pay the hefty price tag; however, we caution you that while Sketchdeck is great for those who want a simple but polished deck and have a clear vision, if you’re looking for a designer to offer design input, then you’re probably better off getting a freelancer on your own terms (and spending a little bit more). 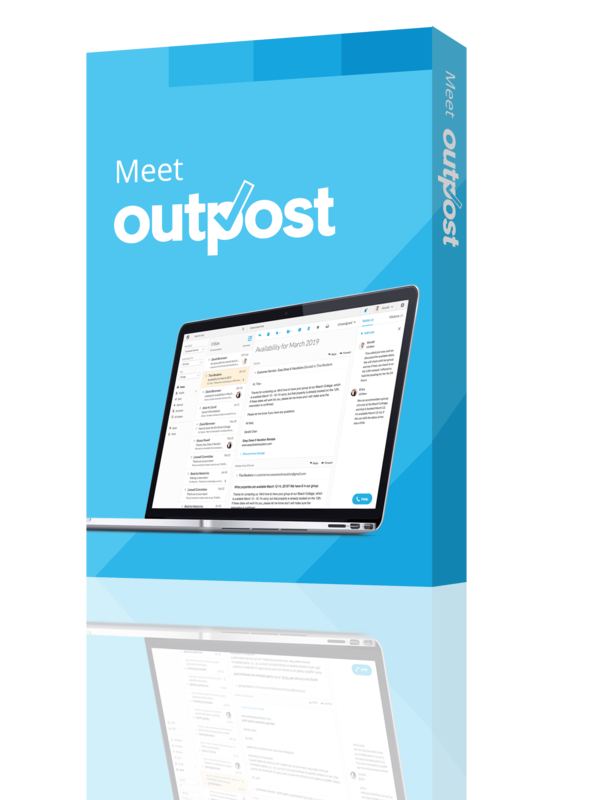 A tool that allows for the versatility of a one page pitch or a pitch deck, and has broader applications for your business. 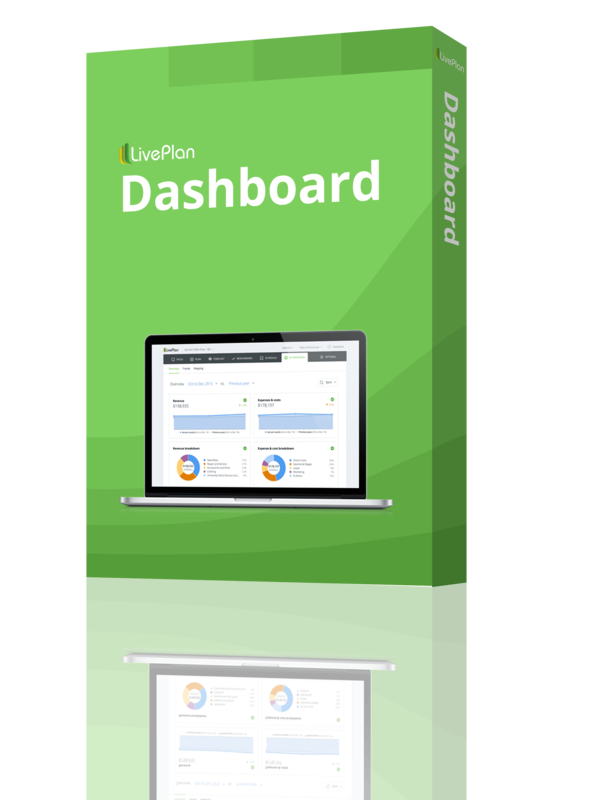 LivePlan is a SaaS (software as a service) product that has three applications for your business: a pitch feature, a business plan feature, and a feature called the Dashboard which is a business dashboard that allows you to track important financial metrics such as cash flow. It’s an online application, so you sign up and pay from the website and then have a login which you use to access the software at any time. From there it’s very straight forward, you simply access the pitch feature and fill in your information in the corresponding fields; it’s user friendly and basically walks you through the process. When you’re ready, you export to Powerpoint to create your pitch deck. Straightforward and inexpensive pricing options. User friendly interface that allows you to get started immediately and create your own pitch, business plan and financial dashboard. 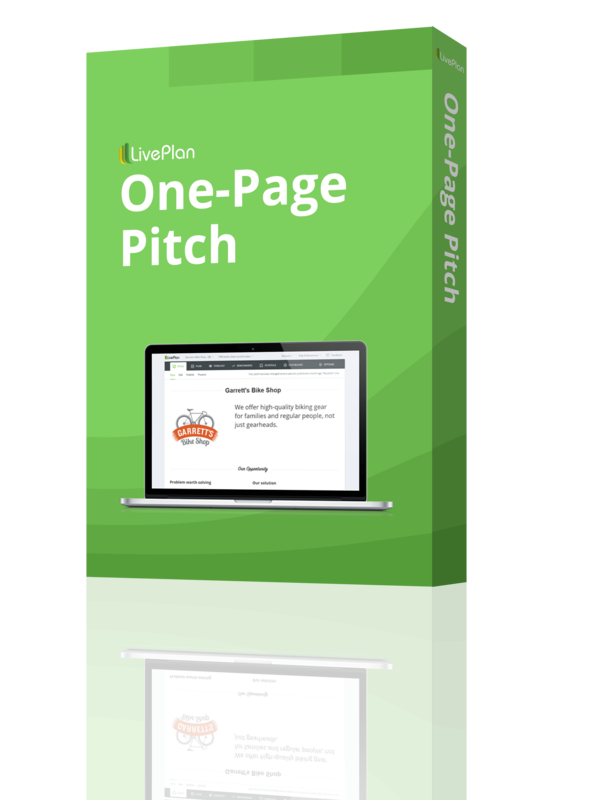 Pitch creation options are a one page pitch which can be printed or created as a unsearchable webpage, or exported to powerpoint as a pitch deck. Part of an inclusive tool with other helpful and practical applications for your business. Character limitations in-app can mean that additional or wordy content needs to be added in PowerPoint. Pricing is on a monthly or annual subscription basis. Of course, if you wish to have a one-off pitch presentation, you could purchase for one month and then cancel the subscription. Monthly pricing is $19.95, annual is a yearly fee of $139.95, for an average of $11.66 per month. 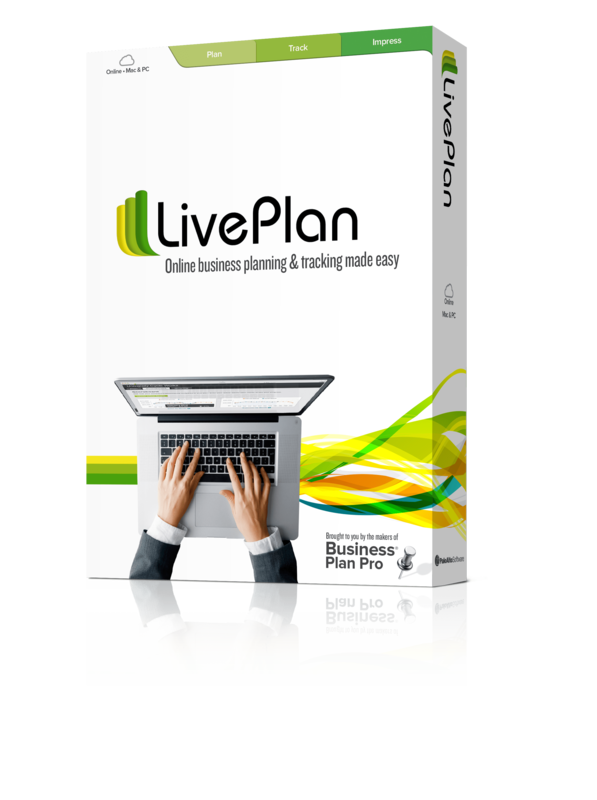 Liveplan is a great option because it’s flexible to a variety of customer needs. It’s a tool with a broader application than the creation of a pitch deck, so once you’ve signed up for the subscription you might find that you’re also reaping benefits from the business planning and financial tracking aspects of the software. A collection of great looking and successful pitch decks to inspire your own. Pitchenvy is pretty much what it sounds like—it’s a card-style website showcasing the best pitch decks out there from other entrepreneurs. What’s interesting is that for very deck they profile, they give a little info on the company, but also whether or not it’s been successfully funded. While it would be completely ridiculous to say that a certain company is funded solely because of its deck, it is worth checking out which decks are successful to try and tease out some commonalities. The company’s blog is also worth a look! There are hundreds more resources out there to help you find inspiration for your pitch decks; to help you create them; and to help you maximize impact both during the pitch and during the follow up. These are some that we think are exceptional, either as sources of information, as services to build a beautiful deck, or as sales tools once your deck’s in place. Your deck won’t sell your business for you. But a high-quality pitch deck certainly makes your life easier. If you need to know what to include in your pitch deck, check out our guide that describes the 11 must-have slides. 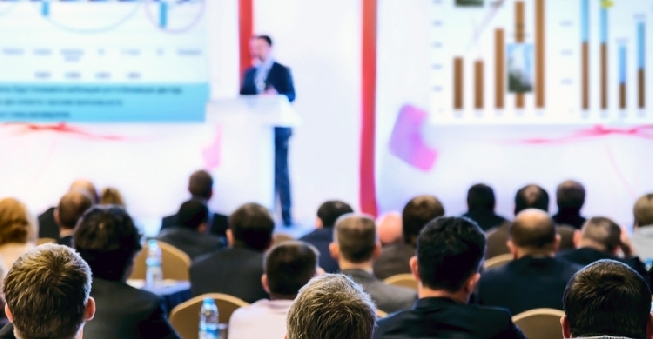 You can also download a free pitch presentation template to help get you started. For more resources, check out our Elevator Pitch Guide.